With spring right around the corner, why not start your spring cleaning early? Below are 10 ways to spring into organization! 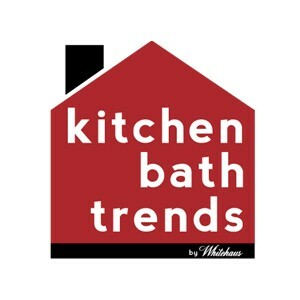 For more organization inspiration and hacks, check out Kitchen Bath Trends Pinterest page. Just can’t seem to get your bathroom organized? There are many ways to create extra storage space. Start by adding a shelf over the door or over the door hanging baskets. This immediately begins to open space by adding storage in places that aren’t typically used. Mason jars can be made into cute holders for makeup brushes, tooth brushes, q tips, cotton balls or anything else you see fit! If you have cabinets under your sink, add in plastic drawers to keep everything tidy. Add baskets into your other cabinets for towels and silverware trays to your drawers to keep everything in place! Making sure you have plenty of cabinets for storage in your laundry room is key. Adding in baskets into your cabinets helps organize and give everything their own home. Other features like drying racks eliminate having the clutter of hanging clothes around the room to dry. Adding a bath towel holder to the underside of a shelf allows a spot for shirts to be hung instead of just using a regular drying bar. This can also double as a spot to hang shirts that were just ironed. Don’t allow your laundry room to become a catch-all for jackets, shoes, pet supplies, etc. Make sure everything has a home that is out of sight! Start by taking everything out of your closet. Yes, literally everything. Take a look at your clothes as you are pulling them out. Ask yourself, does this still fit? Have I worn it in the last year? If you saw it in a store, would you buy it? If you answer no to any of those questions, put it in a donation pile. Use slim hangers to put the clothing you want to keep back into the closet. This allows for more items to be hung up. Fold any clothes that are heavy and will lose their shape on a hanger. Clothing that you are folding, use an organization method that will work for you. Most people will organize by color but if that doesn’t make sense to you, figure out a way that does. Using dividers in your drawers will help end chaos and help show you what you really have. Your floor space can be used creatively as well. Line your shows under your clothes or invest in a shoe rack that can be adjusted to fit into your space. Mudrooms tend to be a spot for jackets, shoes, etc. to be stored. To organize this, start by adding a space for shoes that is somewhat hidden, a bench for sitting, hooks for coats and backpacks and add shelves above this for extra storage. Bringing organization into your linen closet will be easy. Start by adding shelf dividers into the closet. This will give each set of items their own space. You can use wire or plastic dividers or improvise with something you have around the house. Separate items that have specific purposes in baskets, bins and boxes to keep them together. If you can, label the baskets, bins and boxes so you can easily find what you are looking for. If you need just a little bit more storage space, add in some over the door hangers. Just like your closet, start by taking everything off of your desk. Take everything out of your drawers. Add in some drawer organizers and start placing items back in. Make sure they are necessary. Try and put as much into the drawers as possible so you don’t have excessive clutter on the desk top. Keep your desk top organized by adding containers and filing systems. Make sure everything has a space! Start by decluttering your pantry. Get rid of anything that you know you won’t eat or use. Take inventory of what you have, what you use and what is just taking up space. Start arranging items by their use. Jarred with jarred, canned with canned. Getting baskets that you can label help with those items that don’t stand up on their own. Wire shelving also helps by adding a second level to add even more items. Have too many pots and pans? Can’t seem to every find the one you are looking for? Try adding file racks into you cabinets for storage. You can also use adhesive hooks to hang pots from inside the cabinets. If you have an extra drawer, adding slots in will allow for hidden storage space and easy access. Start with a deep clean. Take everything out, shelf by shelf. Get rid of things that are old, expired or you know you won’t eat. Wipe down all of the shelves with soapy water and dry them. Create food zones. By dedicating a specific spot for certain things, you will always know where to look. Look for specific containers that help maximize storage in your fridge. Always label your leftovers with what it is and what date it was made. Kitchens can get messy quickly so everything needs to have a specific place. By adding in baskets, containers, etc. to give everything a home will help eliminate the possibility of your kitchen looking disheveled. You can even go a step further and label these containers. Adding a tension rod to hang utensils on over the counter utilizes the wall as storage. Try putting as much as you can in the cabinets, organized of course, and the pantry. Try to keep as much off the counter as possible unless it is neatly in a container. Drawer dividers will help your drawers transform from a cluttered mess into a beautiful spot where you can find exactly what you are looking for.